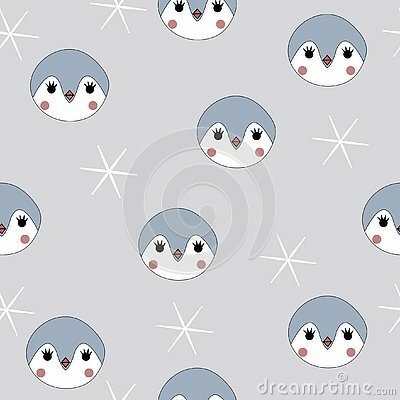 Cute baby penguins with snowflakes seamless pattern. Funny kids design. Vector. Collection of Different Cartoon Penguins isolated on white background. Different Emotions, Expressions. Anime Style. Vector. Baby Shower Candy Bar Vector Tag Set. 6 Cute Circle Shape Tags. It`s a Boy.